First things first, when can I get it? The Pixel 2 is available for pre-order now and will be available from October 19th. How much is it going to cost me? £629. Google Lens – The Pixel 2 is the first phone to use Google Lens – an AI software similar to Samsung’s Dixby that can tell you all about whatever you point the camera’s lens at. You’ll be able to get opening times for a restaurant or museum you’re in front of, and even save numbers to your contacts just by pointing the camera at them. Google Assistant – Ok, not strictly new, but a new way to activate it. Touch sensitive panels on either side of the screen activate Google Assistant when you squeeze them – finally, no more announcing ‘Ok, Google’ when you’re in line at Tesco. Plus, the fingerprint scanner to unlock is supposedly the fastest on the smartphone market. 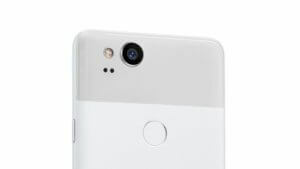 Cameras – Google phones have already been recognised as offering some of the leading cameras in the smartphone market, but the Pixel 2’s camera is better still. Despite their decision not to offer dual lens like some of their biggest rivals, their dual-pixel focus guarantees that portrait mode snaps will be more insta-worthy than ever. Dual Speakers – Unlike most of their competition, the Pixel 2 had two forward facing speakers. So what? Well if you’re prone to a Netflix or YouTube binge, dual speakers are bound to improve the sound quality. 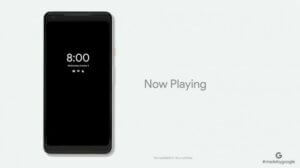 Always-On Displays – The Pixel 2 has an always-on display which basically means that you can always see the time, date and your notifications without the hassle of…err… pressing a button. Seems a bit unnecessary to us, especially where battery life is concerned (more on that later.) The smaller Pixel 2 comes with a 5-inch screen and full HD resolution. The Pixel 2 XL has a 6-inch display with a ratio of 18:9 and a resolution of 2560 x 1312. No Headphone Jack – Another headphone jack bites the dust, and people are not happy! A wireless charging feature would have softened the blow, and saved a lot of hassle, but seems like Google aren’t quite ready to go completely wireless. You may not be happy about it, but Google’s decision to lose the headphone has cemented its doomed fate. And what’s not so new? Battery – This release hasn’t seen much of an improvement in terms of battery life. Although Google ambiguously promise that a 15-min charge can give you 7 hours’ worth of power, the battery itself is smaller than the Pixel’s, and with a bigger screen to power, we’re not so sure how it will hold up. Overall, there seems to be a lot of great new additions with the Pixel 2 and Pixel 2 XL. With an even better camera and some genuinely exciting applications of Google Assistant, it’s certainly their best phone yet. The biggest drawback could be the price – at £629 its fairly steep, but from what we can see, it’s probably worth it.